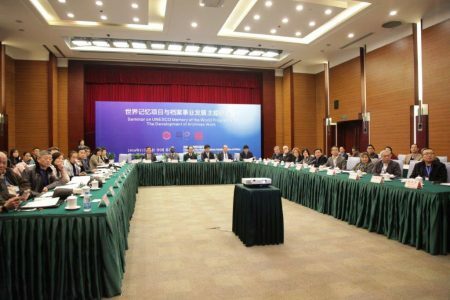 A seminar on the UNESCO Memory of the World Programme and the Development of Archives Work was held at the Suzhou City Convention Centre in Suzhou China on 23 November 2016. Mr Qu Futian the mayor of Suzhou and Mr Li Minghua the chair of MOWCAP and the Director-General of the State Archives of China gave welcome speeches. The Suzhou City Archives is home to The Archives of Suzhou Silk Samples of Modern and Contemporary Times and the speakers from China made many important comments on the importance of this collection. Mrs Xiao Peng the Director-General of the Suzhou City Archives spoke about the historical culture in silk archives. Mr Xu Yongjun an associate professor from the School of Information Resource Management at Renmin University of China spoke on the protection and development of industrial cultural heritage. Mr Yang Yongyuan, the chairman of the 6th China Silk Association spoke on Suzhou silk and the silk archives. Mr Zhao Yanchang, a Professor of the History School at Liao Ning University covered the development of local archives work and Mr Bu Jianmin, the deputy Director-General of the the Suzhou City Archives talked about the value of the inscribed items. Mr Wu Pincai, a professor at Soochow University and Dean of the Archives Department of the Social Academy spoke about how the inscription contributed to a wider understanding of the importance of the silk archives. Other speakers were from the International Advisory Committee and Sub-Committees of the international UNESCO Memory of the World Programme. Lothar Jordon (Germany, IAC) spoke about the work of the Sub-Committee on Education and Research; Dianne Macaskill (New Zealand, IAC) spoke about the importance of the Memory of the World Programme in making Pacific history visible; Jonas Palm ( Sweden, Sub-Committee on Technology ) spoke about the work of the Sub-Committee and the technical challenges of managing digital archives; Papa Momar Diop (Senegal, IAC) spoke about the expansion of Memory of the World in Africa and Vitor Fonseca(Brazil, IAC) covered the challenges and the advances of the Memory of the World Programme in South America. The City University of Macau and the Macau Documentation and Information Society (MDIS) have jointly established the first Memory of the World (MOW) Knowledge Centre which opened at the City University of Macau on 21 November 2016. A special exhibition on Memory of the World inscriptions was curated for the occasion. 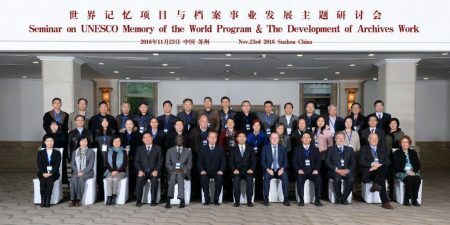 The Centre was proposed by Professor Lothar Jordan, Vice-Chair of the Memory of the World International Advisory Committee, on behalf of the Sub-Committee on Education and Research (SCEaR) of the Memory of the World Programme. Dr. Helen H.K. Ieong, the Director of MDIS, lead the initiative, supported by Professor S.G. Zhang, the Rector of the City University of Macau. There was wide support for the initiative including from MOWCAP (Memory of the World Committee for Asia and the Pacific), UNESCO, Macau scholars, etc. The main mission of the Centre is to support the MoW programme in the field of education and research, to spread MoW Studies in Macau, and to provide a solid ground for exploring synergies with the UNESCO World Cultural and Natural Heritage (WCH) and Intangible Heritage (ICH) programmes. The Vice-Chairs of the MoW International Advisory Committee (IAC), Prof. Lothar Jordan and Prof. Papa Momar Diop, other members of the IAC and chairs of its sub-committees and Macau government officers, archivists, librarians, historical researchers, scholars, and students were at the Opening Ceremony and the Forum which followed the opening. The Forum had the title: “Access to knowledge via access to archives and documents”. The visitors were also hosted at Tong Name School where they met students who talked about what they had been learning about UNESCO and the Memory of the World Programme. The visitors were very impressed by the posters that had been prepared by the students on Memory of the World international inscriptions. A Memory of the World workshop was held in early November 2016 in Pyongyang, Democratic People’s Republic of Korea (DPRK). The workshop was sponsored by the UNESCO Office in Beijing. The purpose of the workshop was to provide an overview of the UNESCO Recommendation Concerning the Preservation of, and Access to, Documentary Heritage Including in Digital Form, and to provide information to assist with the establishment of a national Memory of the World National Committee. A provisional Committee was established and formal endorsement is now being sought from the UNESCO Commission in DPRK. The workshop included a proposal to have another workshop on principles and practices on the selection and preservation of documentary heritage in digital form. In Suva on 26th – 29th September 2016 UNESCO in partnership with Korean National Commission for UNESCO, National Archives of Fiji and Fiji National Commission for UNESCO conducted a capacity building training in identifying assessing and nominating item(s) of historical value and world significance to be inscripted on MOW Register. To increase documentary heritage inscription on the Memory of the World International, Regional and National Registers by countries of the Asia Pacific region is the main goal of the 6th Workshop on the Memory of the World for the Asia-Pacific region, held in Suva, Fiji. The workshop is an opportunity for the member states to improve their capacities in identifying, assessing and nominating an item of historical value and world significance to be inscripted on the Memory of the World Register(s). The MOW Register(s), is a powerful tool to boost awareness on the existence and significance of documentary heritage. The Registers is the visible element of the Memory of the World, a programme initiated by the UNESCO since 1992 with a vision to protect the documentary heritage or memories and ensure that everyone access these memories as it belongs to everyone. 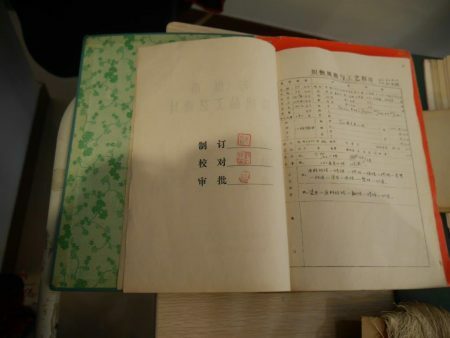 It is the significance of the Registers that has committed the Government of the Republic of Korea, UNESCO and the Korean National Commission for UNESCO to organise regional training workshops to enhance the capacity of member states to identify documentary heritage with enduring value and global significance, be able to nominate it to be recognized and inscripted on the MOW Registers. The 6th workshop brought together 40 participants representing 10 countries of the Asia Pacific region and over three days they will learn and gain knowledge from international experts of the Memory of the World Programme. In his remarks to officially celebrate the beginning of this important workshop Permanent Secretary for Fiji’s Education, Heritage and Arts ministry, Honourable Iowane Tiko encouraged the participants to embrace the opportunity with the experts, gain as much knowledge on the best ways to preserve our documentary memories, most importantly to keep our heritage alive and colorful. Mr Kwibae Kim, Director of the Culture, Communication and Information Sector of the Korean National Commission for UNESCO echoed the encouragement from Hon. Iowane Tiko and reassured the participants that this workshop is particularly important as it is designed to help them understand the intricacies of the nomination form for the international register, better present the value, and significance of your documentary heritage, and share their experiences with other participants. The Workshop that began on the 26th of September and concluded on the 29th was also supported by the National Archives of Fiji, UNESCO Cluster Office for the Pacific States in Apia and the Fiji National Commission for UNESCO. UNESCO recently released the following press statement on the very successful workshop on Archives Preservation held in Xi’an, China. “The UNESCO Memory of the World workshop on Archives Preservation in the Asia Pacific Region was officially opened yesterday in Xi’an. The event was organized by the Memory of the World Regional Committee for Asia Pacific (MOWCAP) and the State Archives Administration of China (SAAC), in cooperation with the Shaanxi Provincial Archives and Shaanxi Normal University. The Exhibition and Forum of Memory of World Programme and the significance of Historical Documentation were held on Dec 6 2015 in Macao Science Centre, with the purpose of stimulating public awareness on the importance of documentary heritage. The activities were organized by the Macau Documentation and Information Society (MDIS), together with Macao Youth Entrepreneurship Association, archives institutes, and research center. The Exhibition includes the topics of introduction of MoW and the value of documentary preservation, war’s disasters and the history, rethink on war, and appreciate peace. Old photos and archives are being exhibited until 19 Dec. The Borobudur Conservation Office (BCO), Indonesian Memory of the World Committee, the National Archives of Indonesia (ANRI), Indonesian Institute of Sciences (LIPI), the Australian Memory of the Committee, and UNESCO have collaborated to hold a workshop on the ‘Nomination of the Archives of the Borobudur Temple World Heritage site as Memory of the World’, from the 10-11 November 2015. The workshop was a continuation of the general training conducted with the support of UNESCO in September 2015, and gave advanced training support for the development of a nomination for the archives of the Borobudur Conservation Office as UNESCO Memory of the World (MoW). Safeguarding documentary heritage has become the passion of five Archivists from the Pacific that met in Suva, Fiji from October 20th to the 22nd, 2015. UNESCO, the Regional Committee for the Memory of the World Program Asia-Pacific (MoWCAP), and the State Secretariat of Tourism, Arts and Culture, Timor-Leste, have collaborated to hold a training workshop from the 27-28 of July 2015 in Dili, Timor-Leste.